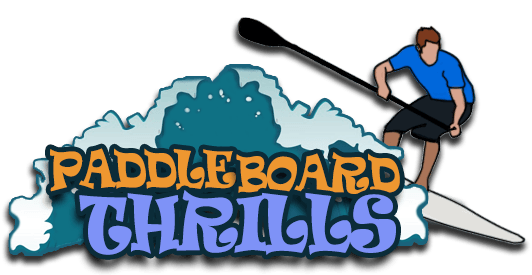 In this review, we highlight the the Hydro-Force Wave Edge board. 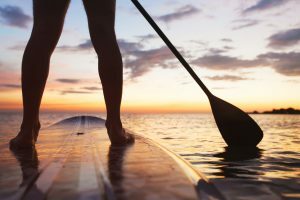 The hydro force wave edge is perfect for paddlers who want to experience paddling for the first time. It is geared with 2 side fins to keep you steadily afloat. Built with a durable carry handle, you can easily bring it anywhere you want. 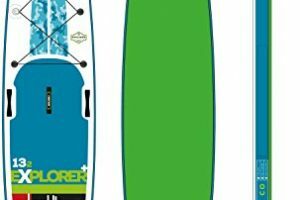 Complete with essential accessories like an aluminum oar, pressure gauge, and an inflation pump, this model is a great board for touring and experiencing local waterways. This model is made with a fast inflation/deflation valve that makes pumping easier. The pump that comes with this unit is easy to operate as well, especially with the pressure gauge which informs how many psi is already loaded into the unit. Once you use this on the water, you can maneuver it easily with its adjustable paddle which can extend to any height. Once done, you can deflate this unit by letting the air out through the valve. The unit can hold itself very well under the pressure of the water and winds. The dropstitch material used greatly enhances the sturdiness of the board by keeping all the materials tightly secured to each other. If inflated firmly, it can be as sturdy as a hard board. You can maintain your stability on the board by holding the middle fin when the water gets rough. The anti-slip traction pad keeps you from slipping when water gets onto the surface of the board. You can easily transport this unit by using its carry handle. This specific feature makes it easy to hold it while you walk your way into the water. You can store this model by rolling it up in the travel bag. Deflate it first before you fold it away for storage. Make sure that the side fins are not blocking the way of the zippers. This kind of storage makes it easy to bring it anywhere you like. You can even store it away in your garage until your next adventure. Some customers noted that it takes a lot of energy to reach the recommended inflation pressure, which is 12psi. You need to pump hard to inflate the board to full capacity. 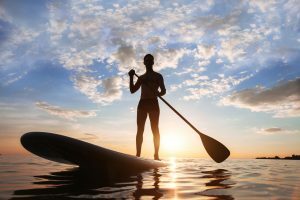 It takes a great amount of time and effort to finally start paddling in the water. This could be a bit tasking if it is your first time, but frequent usage might give you the hang of it. However, if you don’t like this kind of hassle, you can use an electrical pump for faster and easier inflation. A few customers reported that this model doesn’t seem to support the weight of adults. The width is also too narrow for comfort. However, this works fine for kids. 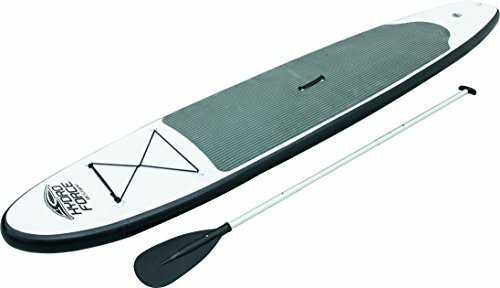 If you want a larger unit that well suits adults, try the ISLE Airtech 12’6 Touring Inflatable Stand up Paddle Board. Some customers complained that the 2 side fins seem to be blocking the way for an easy rolled up storage inside the travel bag. Though the middle fin can be detached, the 2 side fins can’t, and that is why they are sometimes damaged along the way. 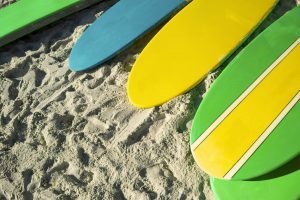 There is actually another brand which has all removable fins for easy storage, and that is the Ten Toes iSUP Inflatable Standup Paddlboard. 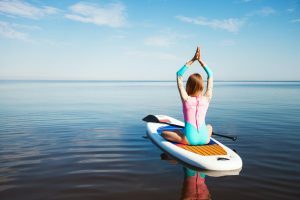 The verdict of our review is the Hydro-Force Wave Edge model is a great board for beginners as it can provide the right stability and flexibility that you always wanted for an inflatable paddle board. With its dropstitch material, you can be ensured of its great durability while the anti-slip traction pad keeps you steady despite water on the surface. 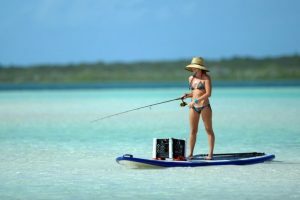 As compared to ISLE Airtech 12’6 Touring iSUP Paddleboard, the Bestway Inflatable Hydro-Force Wave Edge is a bit smaller in size and weight-limit capacity. Although both are built with great dropstitch technology, the Hydro Force Wave Edge may be a bit heavier than the ISLE Airtech. On the other hand, the Hydro Force Wave Edge doesn’t have the warranty and stainless D-rings that the Vilano Voyager offers. 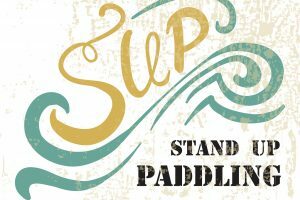 Please check out all of our other paddle board reviews! Click now!